Following feedback from our patients, we now book all GP appointments up to 2 weeks in advance. We will try and give you an appointment with the doctor of your choice but there will be times when this is not possible, and we ask for your co-operation. We also run a “Sit and Wait Surgery” each Monday morning. Emergencies that need to be dealt with on the day will be seen by the Duty Doctor. For these appointments you will be offered the next available time. Please phone 583465 or call at the reception desk to make an appointment. Please make a separate appointment for each person. Your appointment is for 10 minutes so if you have a number of problems, you may be asked to return to deal with the less important ones on another occasion. We try to keep to appointment times, but the doctor may occasionally be called out to emergencies. Please be patient and understanding. Text message appointment reminders are now being sent. If you wish to be reminded about your appointment, please let reception know. 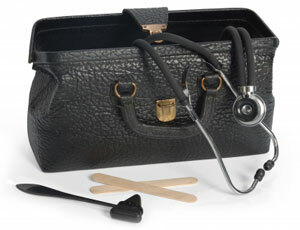 It is not always necessary to see the doctor; some issues can be dealt with over the telephone. Telephone slots are booked in the same way as appointments. Please ring the appointments number 583465 and the receptionist will give you a time when the doctor will ring you back. If you have requested a telephone consultation or home visit, would you ensure that you do not have your telephone diverted to an answer machine. Due to time constraints the doctor will attempt to contact you only once and this may mean that you will need to re book another appointment. Thank you for coming to see us today. The Doctors are always willing to see people who are in need of immediate care and treatment. Although you may have been a patient of this practice in the past you are not currently registered with this Practice and you will be seen as a temporary resident. Temporary residents can only be provided with the immediately necessary here and now treatment for urgent conditions. We are unable to deal with pre-existing matters or to initiate investigations and tests as though patients who are temporary residents all we can do is either issue a prescription or refer to hospital. Longstanding matters should be taken back to your regular General Practitioner. We do recognise that in the past you may have been registered with us and you may be at University or College and that you may regard us as your Doctor but unfortunately under the terms of the National Health Service we are not currently your Doctor and whilst you are at University you remain registered with the University Health Service and they must therefore provide your continuing health care needs that are not of an immediately necessary or urgent nature. If your condition is not immediately necessary or urgent then please tell the receptionist and we will cancel the appointment. If the Doctor deems your condition not to be necessary and urgent he will tell you so and take no action today. Peter J P Holden & Partners.